In a recent article about Shirley Jackson, the president since 1999 of Rensselaer Polytechnic Institute (RPI)--a private university located in Troy, New York--the Chronicle of Higher Education revealed that, in 2012 (the latest year for which statistics are available), she received over $7 million from that institution. Like many modern campus administrators, President Jackson was also given a large mansion, first class air travel, and a chauffeured luxury car to transport her around the campus. Of course, when operating as a business, there are many ways to pay a top executive’s hefty salary and recoup huge financial losses. As is the practice on other campuses, RPI employs a considerable number of adjunct faculty members -- part-timers paid by the course, with pitiful salaries, no benefits, and no guarantee of employment beyond the semester in which they are teaching. One of these adjuncts, Elizabeth Gordon, was paid $4,000 a course--about $10 an hour by her estimates. “Because the pay was so low,” she recalled, “it was like being a volunteer serving the community.” But, as the size of her RPI writing classes grew, she became concerned that the pace of grading, student meetings, and course preparation was undermining her health, which she lacked the insurance to cover. So she quit. Many other adjuncts, however, are still at RPI, scraping by on poverty-level wages and enriching President Jackson. RPI’s adjuncts once had a voice on campus, as some of them served on RPI’s Faculty Senate. But that came to an end in 2007, when Jackson abolished that entity. From the administration’s standpoint, the abolition of the Senate had the welcome effect of not only depriving adjuncts of their minimal influence, but of crippling the power of regular faculty, as well. The previous year, a faculty vote of no confidence in Jackson’s leadership had been only narrowly defeated. Thus, the administration’s abolition of the Faculty Senate served as a pre-emptive strike. Asked by irate faculty to investigate the situation, the American Association of University Professors condemned the administration’s action as violating the basic principles of shared governance. Theadministration responded that RPI “has never recognized the role of the AAUP in what we regard as an internal issue.” Ultimately, faculty resistance collapsed, leaving faculty powerlessness and demoralization in its wake. 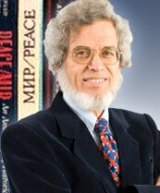 Lawrence Wittner (http://lawrenceswittner.com), syndicated by PeaceVoice, is Professor of History emeritus at SUNY/Albany. His latest book is "What's Going On at UAardvark?" (Solidarity Press), a satirical novel about campus life. For David M. Kinchen's review of "What's Going On at UAardvark?"